Every day, bus-loads of tourists arrive in Gorai, a sea-front suburb of Mumbai, and head to Esselworld and Water Kingdom, two popular theme parks built by Indian billionaire Subhash Chandra’s Essel Group. Since 2008 the traffic to Gorai has jumped several-fold. Around 10,000 of those people are seeking something other than a ride down a water slide. They are going to the giant golden pagoda. You can see it from miles around rising from the trees in a sharp finger-like spire aimed at the clouds. The people are going to the pagoda to sit in Vipassana, an ancient Buddhist meditation style seeing a revival in India. His name is not anywhere on the pagoda, but the landmark’s great patron is none other than Chandra, who made a $1.8 billion fortune off television network Zee TV, watched by 500 million viewers a day. He largely credits meditation for his business success. His teacher for going on two decades is Satya Narayan Goenka, the 86-year-old guru who spearheads the Vipassana movement. In 1997 Chandra gifted the 13-acre plot on which the temple stands. It was worth an estimated $5 million when he parted with it and is probably worth twice as much today. The Global Vipassana Pagoda took 11 years to build. 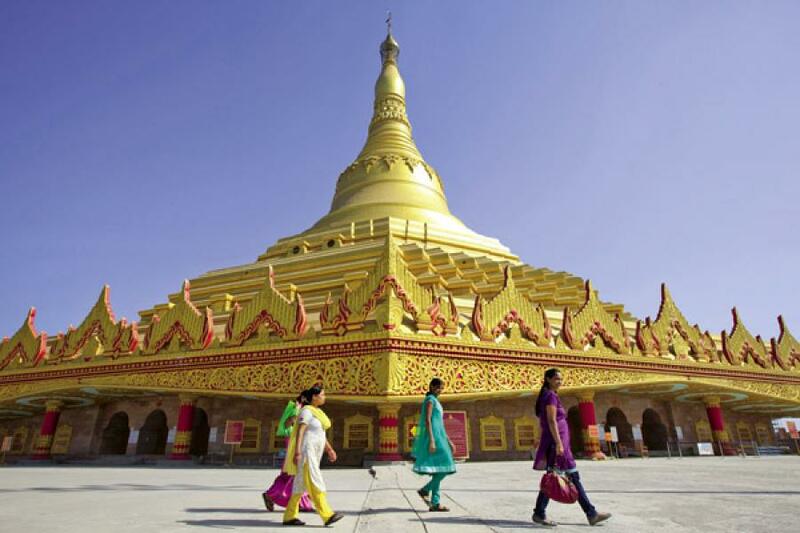 It is 325 feet tall and painted bright gold, a replica of Myanmar’s 2,000-year-old Shwedagon Pagoda in Yangon. It has the distinction of being the world’s largest hollow stone dome constructed without any supporting pillars. It was made using traditional techniques, with interlocking blocks of red sandstone, each weighing up to 1,540 pounds and bonded together with lime mortar. Around 2.5 million tonnes of sandstone was hauled 620 miles from Rajasthan, the desert state in northern India that is famous for this particular variety. Chandra personally supervised every aspect of the pagoda’s construction, insisting on daily reports and making the two-hour drive in traffic from his headquarters twice a week to review the site. When there was a money crunch Chandra would dip into his pocket to ensure that work didn’t stop. While Chandra won’t disclose exactly how much he personally contributed, he acknowledges that the project cost ten times as much as the initial estimate of $2 million. When the monument finally opened four years ago, Chandra played a central role in the enshrinement ceremony, carrying a jade stone container with original bone relics of the Buddha on his head and placing it near the top of the first dome. “Vipassana taught me how to maintain equanimity in all situations of life. This has helped me tremendously in business, more so in the tough times,” he says. Chandra is well acquainted with how perilous financial problems can be. He was born into a trading family and grew up in a small village in northern India. As he relates it, the extended family, which numbered as many as 86 people, slipped into debt and split up. He had to drop out of college and start working. With less than a dollar in his pocket he moved to Delhi to find a way to pay off the family’s debt. He eventually made decent money in rice trading and moved to Mumbai, where he set up a packaging unit making laminated tubes. Today his Essel Propack claims to be the world’s largest producer of such tubes. Inspired by CNN’s coverage of the Gulf war, Chandra took a gamble and started Zee TV, India’s first satellite television channel, in 1992. His family fretted that he would lose the modest pile he’d made. Ashok Kurien, his pal and Zee’s cofounder, says it was like walking into the valley of death. There was no private Indian broadcaster, since regulations didn’t permit it then. So he set up in Hong Kong. The Indian government questioned him several times, and he was told to shut the channel down; he refused. At the outset he burned through cash at the rate of $6 million a month. Around the same time, he was introduced by an acquaintance to the guru Goenka, who persuaded Chandra to do his first meditation course. Chandra’s wife of 38 years, Sushila, encouraged her husband to try Vipassana as an antidote to his current stress. As things got more stressful for Chandra, he continued going on retreats frequently. Over the years Chandra has done 17 Vipassana courses in durations varying from 3 to 25 days. While there are always business compulsions to dissuade him from taking time off, he’s learned to ignore them. “Very often there are forces that try to prevent you, but I just go,” he says. Ashok Kurien, who still sits on the board and retains a minority stake, says that in the early years of Zee Chandra’s frequent disappearances were disconcerting. “We used to have 40 different problems hitting us at the same time. Subhash would disappear from the scene right in the middle of a raging gun battle. But he would return re-energised and recharged,” he recalls. The non-profit Vipassana Research Institute, set up by Goenka, now has more than 1,200 volunteers who conduct courses in 163 centres in 90 countries. Mastering this art of meditation begins with a ten-day residential course that is like boot camp. Students meditate for ten hours daily, starting at 4 a.m., and are required to adhere to a strict moral code. They take a vow of silence. There’s no reading, writing, watching TV or chatting on phones. Students sleep in small rooms furnished with only a single bed and get two vegetarian meals a day. This is really inspiring story. I have never heard about this other side of Mr. Chandra. Thank you Forbes India for bringing this story to us. I have personally seen S.C.,at Hotel Mrriot, juhu -Mumbai, many a times with a very friendly smile re assuring less fortunate to be believers without uttering a single word. A man of real grit. God bless him. I'm a businessman from Darjeeling and have great faith in Vippassana meditation. 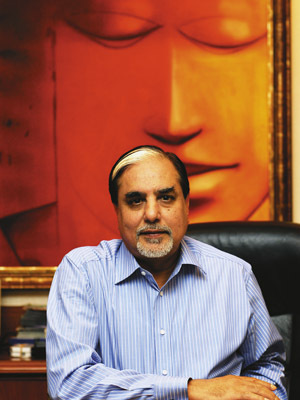 Everyone must try this once in their life, it will completely change their life....Subhash Chandra is a great businessman we must be proud of.